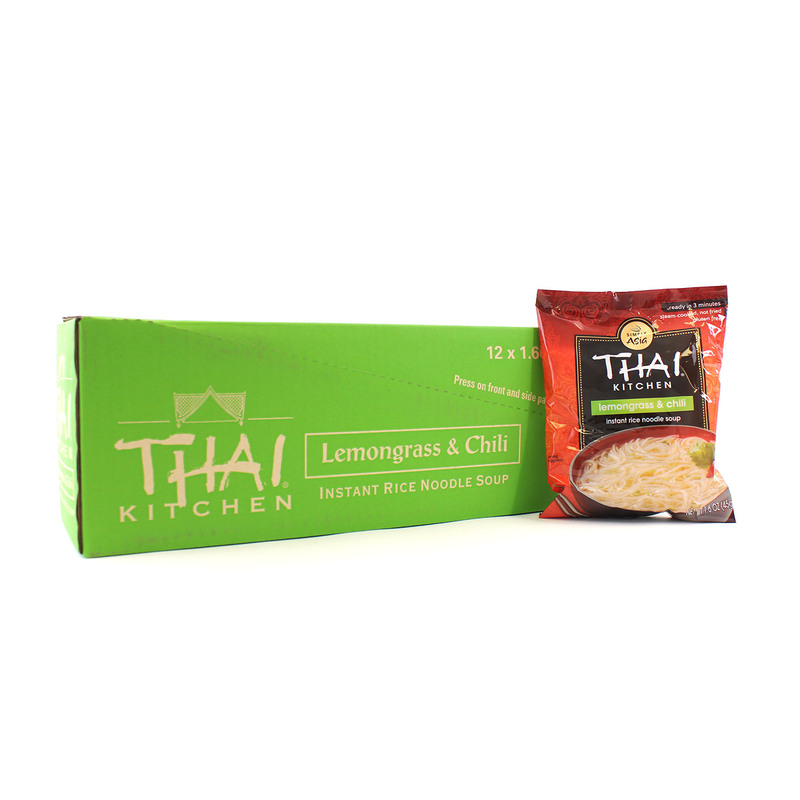 Just add hot water and 3 minutes later you have a delicious hot soup flavored all naturally with aromatic lemongrass and mild chili's, highly reminiscent of Tom Yum soup! Noodles: Rice, tapioca starch, water. 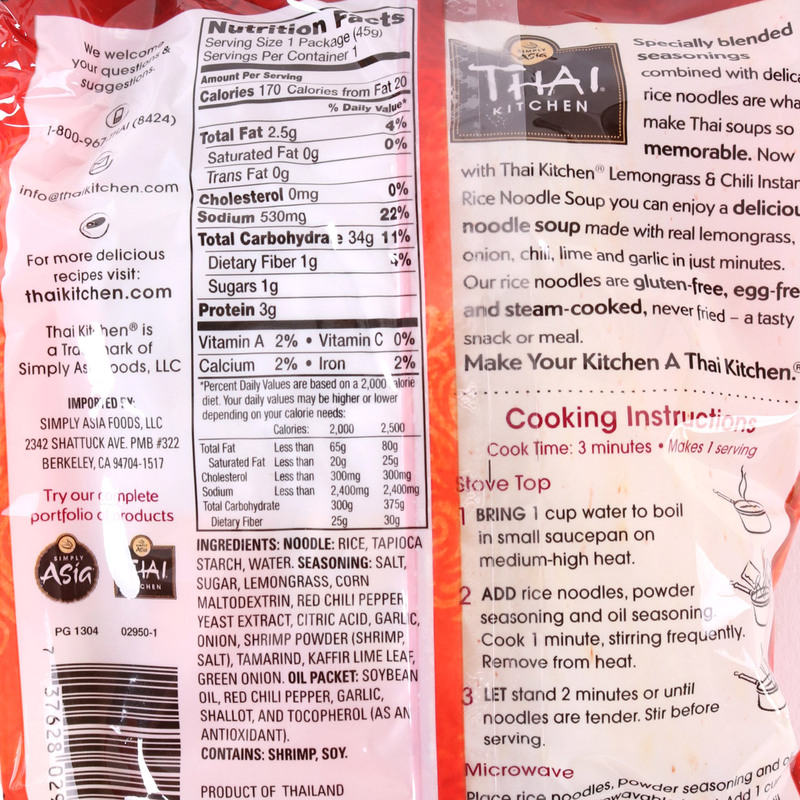 Seasoning: Salt, sugar, lemongrass, corn maltodextrin, red chili pepper, yeast extract, citric acid, garlic, onion, shrimp powder (shrimp, salt), tamarind, kaffir lime leaf, green onion. Oil packet: Soybean oil, red chili pepper, garlic, shallot, and tocopherol (as an antioxidant).